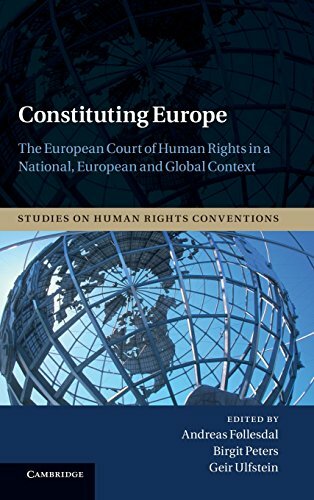 [PDF] Constituting Europe: The European Court of Human Rights in a National, European and Global Context (Studies on Human Rights Conventions) | Free eBooks Download - EBOOKEE! Description: At fifty, the European Court of Human Rights finds itself in a new institutional setting. With the EU joining the European Convention on Human Rights in the near future, and the Court increasingly having to address the responsibility of states in UN-lead military operations, the Court faces important challenges at the national, European and international levels. In light of recent reform discussions, this volume addresses the multi-level relations of the Court by drawing on existing debates, pointing to current deficits and highlighting the need for further improvements. No comments for "[PDF] Constituting Europe: The European Court of Human Rights in a National, European and Global Context (Studies on Human Rights Conventions)".